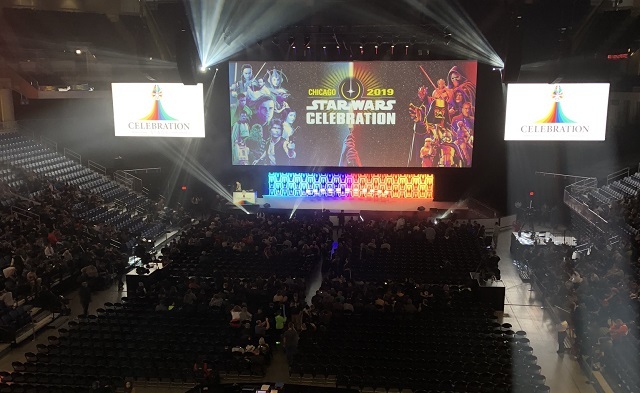 Mike: Last weekend’s Star Wars Celebration Chicago was not just my first Celebration but my first major convention of any kind. I had a blast and got to meet dozens of people from here and Twitter for the first time, but having technically covered the last few Celebrations here at Eleven-ThirtyEight and seen lots of rumblings about organizational issues (from both past events and this one) the thing I found myself most curious about as the weekend wound down was: how did Chicago stack up to the others? I’ll be sharing more of my own thoughts soon, but suffice it to say that aside from a fair amount of stress over the status of my media application, I found the whole thing to be moderately logistically challenging but not to the point that it infringed upon my good time. If I wasn’t able to get into a panel I’d been hoping for there was always something new in the main hall to check out, or a friend to track down, or shitposting to do, so I never found it too bothersome. But with this being my first con, I had no prior experiences to compare it to—better than average? Worse? Or typical? Luckily I had the novel opportunity to ask some of my staff writers—like, their actual physical selves—what most surprised them about this year. I should mention that while most of them are battle-scarred veterans of the convention floor, this was Abigail Dillon’s first Celebration as well—but I’m nice so I decided to ask her anyway. » Read more..
“My thoughts were in turmoil. I can’t allow this to be done. The Second Law of Robotics tells me I must follow orders and stay in the niche. The First Law of Robotics tells me I cannot harm this tyrant who wishes to destroy me. – Isaac Asimov, “Cal,” Gold. My entry into science fiction fandom was shepherded by a pillar of the genre: Isaac Asimov. It’s been a while since I’ve actually picked up one of his works, but you can still see the shape of his influence in my reading habits today. Namely, I have him to credit for the array of short story collections gracing my shelves. I, Robot was the first anthology I ever read, and from there it was a series of dominoes leading to a diet of short stories and anthologies. There are gems to be found in anthology collections. When multiple authors are gathered under a single cover, such as Unnatural Creatures, we can explore variations on a theme. How does each author interpret the topic at hand? Answering this is a kaleidoscope of ideas. When it’s the work of a single author, such as I, Robot or Ray Bradbury’s The Martian Chronicles, we get targeted explorations of the theme with deliberate nuance. Age of Republic is an anthology that gives us the kaleidoscope and the nuance alike. It’s a work of art, a collection of individual stories beautiful on their own, but which spark to new life when seen in comparison with the whole. The intro, first section, and conclusion are spoiler-free. The second section will discuss spoilers and will have a separate spoiler warning. 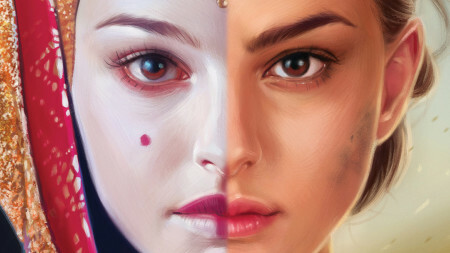 We have been waiting a very, very long time to get a Padmé book. 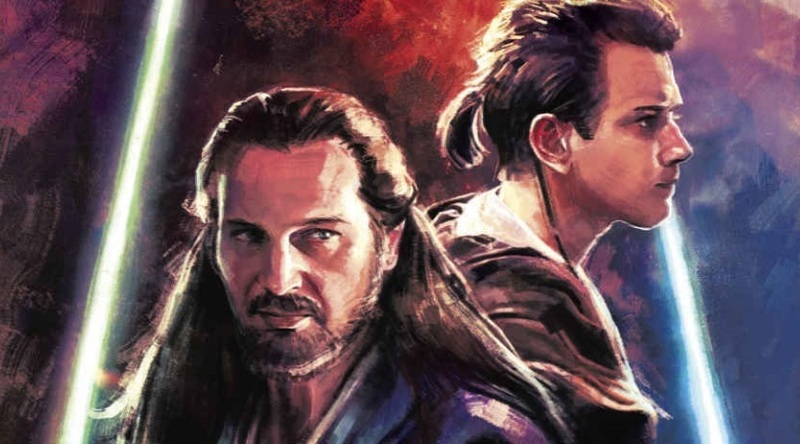 She’s been in plenty of books, comics, and TV shows — including a plethora of Phantom Menace-era books that a whole generation of fangirls has seemingly grown up on. But she’s never gotten the central billing in a book before. In situations like this, we usually end up with a typical “too little, too late” entry. Well, it’s definitely late — but the twentieth anniversary of The Phantom Menace‘s theatrical release isn’t a half-bad time to celebrate Padmé, given that the people who grew up with her never forgot about her. As for too little? Oh no — Queen’s Shadow is far from too little. In fact, it might be the perfect book for Padmé to finally get her due. There are a lot of parts of this book that read like a love letter to Padmé fandom, handmaiden fandom, and the women who grew up as part of both. I’m not the best person to speak to that aspect of the book, although I can definitely see parts of it. There’s probably more there that I haven’t even noticed: things like how Padmé interacts with her friends and handmaidens (for they are both), things about female comradeship and navigating situations that I just couldn’t know anything about. You’ll hear plenty about that from people who are better equipped to discuss it than I am — in fact, check back here tomorrow for a piece on the handmaidens and what they mean to their fans. But what I can tell you is that anyone who is a fan of Padmé as a character, a fan of her faith in political idealism and willingness to get her hands dirty despite of it, and heck, even just a fan of Naboo, will love what E.K. Johnston did for Padmé in this book. A lot of times it felt like the films after The Phantom Menace weren’t quite sure what to do with Padmé. She had a lot of potential that was sidelined in the other two films. But despite that, she was still a key part of the prequel trilogy and she had great development in Clone Wars-era books, comics, and TV despite rarely getting to headline stories. Queen’s Shadow recognizes both these things: the unrealized potential and the potency of the character, and does them justice. It’s set like a bridge novel between Episodes I and II, giving her the post-TPM development that Anakin and Obi-Wan received almost twenty years ago. But Queen’s Shadow isn’t just “Padmé’s turn” — it’s a genuinely incisive look at her character. Despite taking place between I and II, the novel also engages with ideas the audience knows will come up in The Clone Wars and in Episode III. E.K. Johnston just gave us a well-rounded portrayal that does everything it should have, and exceeded my already high expectations.